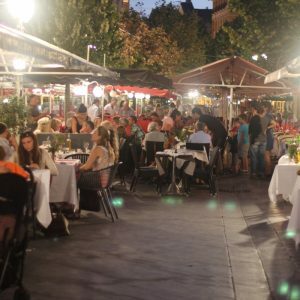 The Cours Saleya in Nice, one road back from the Promenade des Anglais, transforms from a market place during the day to a buzzing street of restaurants during the evening. 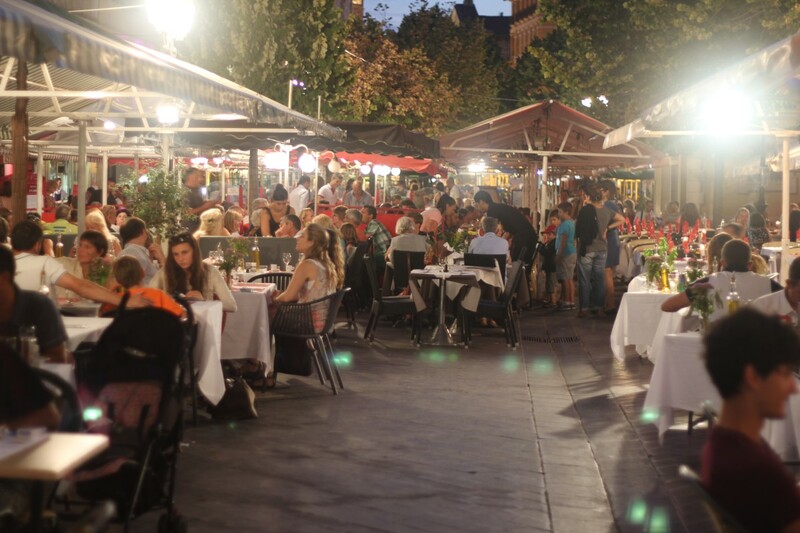 Cuisine is mostly Nicois, French and Italian, including a number of seafood restaurants. The perfect place to people watch.